After going through a Short Sale or a Foreclosure, most people have multiple 30, 60, and 90+ day late payments reported on their credit report. When the actual Short Sale is completed, most banks will report to your credit report that your account was â€œpaid in full for less than the full amount.â€ Your credit report may also be marked as â€œsettled.â€ It is important to keep in mind that each lender has a different way of reporting that a Short Sale was done, but this is the most common language used. If your home were to go to Foreclosure you would most likely see the bank report â€œForeclosureâ€ on your credit report. 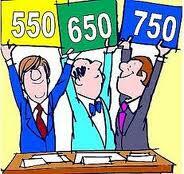 It is difficult to gauge how much damage will be done to yourÂ credit score when comparing a Short Sale to Foreclosure. Credit experts will agree that neither a Short Sale nor a Foreclosure is favorable to your credit or credit score, however, the impact of a Foreclosure is much worse.